An American lawyer and an Australian law firm will go into court in Sydney this week to explain to a judge why Malaysian Airlines should be ordered to pay A$220,000 (US$159,000) to the son of an Australian passenger killed when Malaysian Airlines Flight MH17 was destroyed in Ukraine on July 17, 2014, plus fees for the lawyers for bringing the case to court, plus billion-dollar damages to follow, if the court agrees. For the moment this is the only case of an MH17 victim proceeding in any court in the world. The claim filed for a Dutch victim charging the Ukraine Government with culpable negligence, has been before the European Court of Human Rights (ECHR) since November 2014. But it has been buried in secrecy, as the court refuses to say whether it will accept the proceeding or try the case at all. In Sydney the lawyers have so far presented no evidence of what caused the crash or the deaths of the 298 passengers and crew. Publicly, in Australian newspapers and in one of the lawyer’s blogs, they have accused the airline of intentionally delaying the passenger payout. They have attacked the Berlin lawyer in the Dutch victim’s case for making the Ukraine Government the defendant in the ECHR case. In the press they have also accused the Russian government, and President Vladimir Putin in particular, of causing the crash. In advertising their services to the Australian victims, the lawyers have hinted at their hope for a payday comparable to the Libyan Government’s settlement of $2.7 billion for the 1988 bombing over Lockerbie, Scotland, of Pan American Flight 103. The US lawyers in that case, representing almost 200 of the 270 victims, negotiated an out-of-court settlement of $10 million per casualty, earning for themselves at least $1 million per client, or about $200 million. 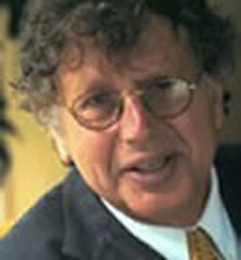 Jerome Skinner (lead image), an American who describes himself as an “aviation lawyer”, is a consultant to Leitch Hasson & Dent ( LHD). The firm specializes in injury compensation lawsuits — motto, “we support individuals, corporations and communities in their time of need”. At the Sydney headquarters of LHD, the lawyer in charge of the MH17 case is Michael Highland. LHD are acting for Tim Lauschet (below, left) , the only son of Gabriele Lauschet (right) , a schoolteacher who was killed in the MH17 crash. They first filed their claim in the Supreme Court of New South Wales on July 17, 2015. They argued the airline was liable to pay the full amount of compensation required by the Montreal Convention covering airline crashes – without having to provide evidence of the cause of the crash, or to substantiate particulars of the damages the Lauschet family has suffered. Under current international and Australian law, the Montreal Convention obliges the airline to pay 113,100 Special Drawing Rights (SDRs) to Lauschet – and Lauschet’s lawyers asked the court to compel payment without delay. SDRs are calculated daily by the International Monetary Fund (IMF). Six weeks after the first filing, Judge Lucy McCallum issued this ruling, explaining the legal issues at stake. She told the lawyers for Lauschet and for Malaysian Airlines to return to court with new papers spelling out the claim, and the defence. The papers were due in October last, and the court scheduled to resume hearing on October 16. Skinner announced publicly that “Malaysia Air wants the families to settle for $50,000 or less in some circumstances.” The airline said this was false. Skinner and Highland were asked to clarify the particulars of their claim; to say what happened at the October 16, 2015, hearing; and to explain the current status of the Lauschet case. The LHD office in Sydney provided Skinner’s emails and relayed telephone messages to him in the US. He did not respond. Highland did not reply directly. Instead, a spokesman for LHD, James Gallaway, wrote last week: “as proceedings are afoot, we are unable to respond to your questions at this time. I would like also to remind you that, as the author of the correspondence contained in these emails, I hold copyright over my responses. 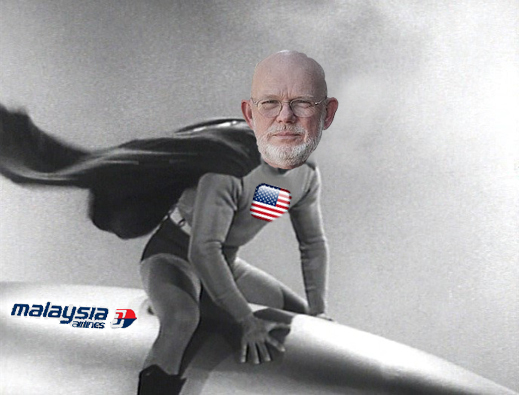 To that end, may I remind you that our firm’s response to your enquiries – and the only material that we agree should be published at this point – is that: ‘As the matter is ongoing, we are unable to provide a statement at this time’.” Gallaway denied that Skinner and Highland refuse to answer questions about their MH17 litigation. Judge McCallum (right) at the court was more informative. The lawyers had asked the judge to postpone the hearing from October to November. They requested another postponement to December. On December 17, McCallum rescheduled a hearing on the claims to February 19. LDH was told to file its new claim by last week. Sources close to the case, who requested anonymity, explained there are complex disputes over how the Montreal Convention should be applied under Australian statutes and case law to determine how quickly the airline should pay the Convention amount. “There is an issue over how the airline is handling the payments,” the source said. “Delays have arisen”. The source said the judge is also being asked to decide “what the available heads of damages are.” This is legal jargon for the lawyers’ El Dorado – a claim for hundreds of millions to billions of dollars, if a judge can be persuaded that negligence caused death. No evidence has been collected or presented yet in the Supreme Court on the cause of the MH17 crash, the source added. Judge McCallum explained in her August and December 2015 rulings that she is putting off any decision on how much money Skinner and LHD can collect for their efforts. In her August 2015 ruling she said the amount of money the airline is liable to pay Lauschet is determined by the Montreal Convention’s maximum SDR allowance. 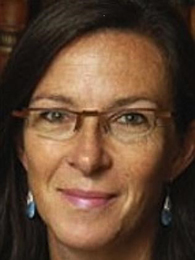 But she noted that the applicable law in Australia is “obscure”, and the lawyers’ claim papers unclear, on “the precise nature of a claim that may be brought against a carrier, the heads of damage that may be awarded and requirements of proof.” The legal problem, according to the judge and to sources close to the case, is that the Montreal Convention and the implementing Australian laws aren’t clear on whether there is a cap or ceiling of 113,000 SDRs for the airline to pay in compensation for each passenger; whether the damage payment may be less or greater than the cap; and what evidence is required to decide these issues. Lauschet’s lawyers, ruled the judge last year, “do not make clear what the plaintiff contends should be the proper construction of the relevant law”, and “each of the declarations presently sought is sought ‘in the circumstances that have occurred’ but there is no specification of the circumstances contended to have occurred.” Highland was asked last week for a copy of the revised claim presented in court. Through his spokesman he said he was “unable”. The injury compensation lawyers are in a hurry to find clients from the MH17 passenger list and to get claims into court. As the judge has warned, “the Convention imposes an absolute bar of two years from the date of the accident.” The deadline, cutting off fresh court claims, will fall in just five months’ time, on July 17, 2016. If the outcome of the Lauschet case allows a larger payment than 113,000 SDRs, and is generous in the award of lawyer’s’ fees, there is likely to be a rush to file against the airline in the Australian courts. According to a lawyer close to the Lauschet case, “there is only one court proceeding at the moment. In all likelihood there will be many claims before the anniversary.” Altogether, 38 passengers on board MH17 were Australian by citizenship or residency. 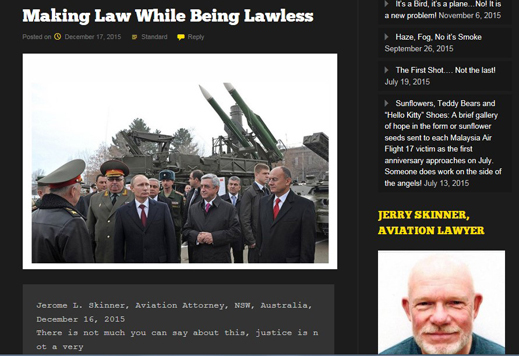 The MH17 case represents big money if the lawyers can pursue the size of settlements achieved in the Pan Am 103 crash. The airline was sued in US courts and paid out $500 million in 1995. Sanctions against the Libyan government, and a criminal trial in The Netherlands, produced another $2.7 billion by 2004. Subsequent challenges to the veracity of the evidence have cast doubt on who was responsible for the bombing (pictured below). But the payouts to victims and lawyers didn’t depend on that evidence. The only Australian court proceeding to consider the MH17 crash so far has been the Victorian coroner’s court hearing in December. That story has been reported here. An Australian barrister, James O’Neill, has described the coroner’s proceeding as “a travesty of an inquiry.” In the coroner’s court, a member of the Rizk family, which lost two family members on board MH17, acknowledged they had been contacted by lawyers seeking to represent them in compensation claims. Had they decided to sue, and if so, who? — James Rizk refused to say. Skinner did not attend the coroner’s court hearing in Melbourne. Ten days earlier, he had announced in the Australian press that he is “representing eight Australian families bereaved by the tragedy, from New South Wales, Canberra, Victoria, Queensland and South Australia.” In July of 2015, the number of MH17 clients was 12, according to press leaks from Skinner and LHD. Asked to confirm the client names and the states from which they come, Skinner did not reply. Highland was asked if his firm was representing new cases — he did not say. Eight weeks later, in September 2014, Skinner suggested the airline was culpable for the flight path the aircraft had taken, and could be sued for more than the Montreal Convention passenger limit. There had been “a deliberate military action in a place where an aircraft didn’t belong”, Skinner claimed. In order to increase their take, Skinner and Highland are hoping to get the Sydney court to lift the money limit for each claim; open the door to negligence and culpability claims; and multiply as many passenger claims as they can reach by advertising the case in the local press. If all 38 Australian victims were to sue for the SDR limit, the amount for the passengers would reach A$8.4 million (US$6 million). Lawyers’ fees would be paid on top. But if accepted in the Australian courts, negligence claims against the airline would multiply the damages target by at least a million dollars per passenger, and the total claim by four times at least, injury compensation specialists suggest. In the case of the Lockerbie bombing, 189 of the victims were Americans; 43 British. The Boeing aircraft was US-made; the airline a US corporation. The US courts accepted jurisdiction for compensation lawsuits, and the claim values were considerable. On top of the passenger liability required by the Montreal Convention, Pan American paid about $500 million after being judged by a US court to have been negligent in its security procedures for baggage. The Libyan government agreed in negotiations with the US and British governments and lawyers for the passengers to pay $10 million per case, $2.7 billion in all. Dutch lawyers have also been advertising for clients among the 196 Dutch nationals killed on MH17. They have gone to the Dutch and international press to claim they “currently represent surviving relatives of the passengers who died in the MH17 crash”. When asked to substantiate this, identify the courts in which they have lodged claims, or name the defendants they are targeting for compensation, they refuse. For details of the Dutch lawyer advertising, read this. Skinner has told Australian reporters that he has twice written on the MH17 case to Tony Abbott, when he was Australian prime minister, asking him to “add leverage” to the case. Skinner will not corroborate what he wrote, nor what Abbott replied. Skinner has criticized the Malaysian airline and government for delaying the Montreal Convention payment. He has not mentioned that the Australian government has been delaying payment of A$75,000, which local law has promised to victims of international terrorism incidents. For the Australian prime minister’s refusal to make MH17 victims eligible for the Victims of Overseas Terrorism Law, read this. Lawyers who have litigated at the ECHR in Strasbourg express surprise. Cases are usually required to meet a filing deadline at the ECHR within six months of the cause of the claim, they point out. For MH17 cases, the deadline expired on January 17, 2015. In addition, the ECHR is careful in warning lawyers that it will not become a court of first instance. So claims relating to MH17, or to any crime committed in the Ukrainian civil war, must be filed in other courts first. So far, Skinner and his superiors at LHD have filed only the Lauschet case. Skinner was asked to clarify the ECHR proceeding by identifying the defendants he is accusing; whether there is a copy of his ECHR submission; and if he is delaying, what is the reason? Skinner was also asked to explain what information he has applied to the Dutch Safety Board (DSB) to provide that was not in its published report on the crash, issued in October 2015. How has the DSB responded? Skinner was also asked. Skinner does not reply. He has attacked Elmar Giemulla , the Berlin lawyer who has applied to the ECHR on behalf of the daughter of Willem Grootscholten , a Dutch passenger killed in the MH17 crash. Their target is the Ukraine Government in Kiev for negligence and culpability in failing to close the airspace above the war zone in the Donbass region. For details of the Grootscholten case against Ukraine, read this. Skinner published his own version of the cause of the crash on December 17, 2015. Skinner was asked for the source of his evidence in the DSB report on shrapnel, the source of the missile, those responsible for firing it, the radar data, and his other claims. The DSB report was published on October 13, 2015; for the DSB’s evidence, and lack of evidence, read this. On the radar data, read this. “I’m surprised,” commented an aviation law source, “that Jerry, with all his litigating experience in the US, hasn’t mentioned the US government’s satellite and other intelligence data, or claimed the US evidence will back his case.” The DSB report was silent on what US data had been provided to the board, except that in the appendix titled About the Investigation, the DSB acknowledged it had received classified intelligence from other countries – whether directly or through the Dutch intelligence services isn’t made clear. A month after admitting that much, last November, DSB testimony at a Dutch parliamentary hearing appeared to acknowledge there was relevant US satellite imagery, and that DSB members had been briefed in secret by US officials. Neither the fact of the briefing nor the evidence itself has been disclosed by DSB. For details, read this and the embedded clip from the hearing. Skinner may have the answers. According to the spokesman for LHD, “our firm is busily preparing its pleadings on behalf of our clients”. At the judge’s direction, they will be in the Sydney court on Friday next, February 19, to present them, and the Dutch evidence, for cross-examination by lawyers for Malaysian Airlines and adjudication by the judge. The Dutch lawyers and the Dutch press missed the coroner’s inquest in Melbourne in mid- December. Because billions of dollars in compensation lawsuits are now at stake, they may appear at this week’s trial. The LHD spokesman adds: “we may comment further regarding ongoing matters, but we will set the deadlines regarding that timing, and any deadlines you might wish to suggest, are for your own indulgence.” The deadline for the ECHR filing has already passed; time is running out for Montreal Convention compensation claims.